So…they weren’t kidding about the storm? 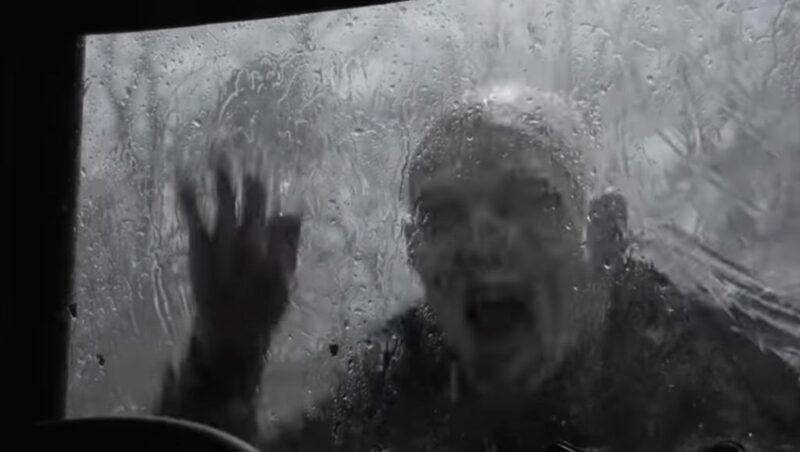 A big new trailer for Fear The Walking Dead Season 4B was revealed at SDCC this afternoon, and the poster’s prophecy was correct…the storm was not metaphorical. How will the gang pick up the pieces in the aftermath? For those of you who haven’t watched Fear The Walking Dead in some time, this is going to seem like a trailer for a completely different show. And it sort of is. It’s a trailer for The Morgan Show, which is what Fear The Walking Dead was turned into when its previous concept and cast wasn’t working. If you gave up on FTWD during the Crazy Nick years, now’s the time to come back. The Morgan Show is a vast improvement, with new characters I want to actually follow and know more about, instead of the bag of cliches that was Madison and her family. It may not save the ratings (AMC still hasn’t announced Season 5 and SDCC would’ve been the perfect time), but one good season of Fear The Walking Dead is better than none at all. As you can read, when Morgan loses people, he loses himself. Let’s hope nobody makes him an offer to join the Pen 15 club. Fear The Walking Dead returns August 12.